I am finding branches kinda hard to work with. I've found I want to tidy up some branching I've done, and rationalize the "branch" structure on the left hand side of the UI, but I cannot. I wonder if you can remove the need for 1, by having a step that is something like a Join that allows you to pull in a table from a single parent. I also see there's a two level hierarchy: you can't branch a branch. At times this can be restrictive. I wonder if rather than try to show the hierarchy on the left of the UI, you just list all the tables in a flat manner, and provide good inheritance exploring tools. We'll be supporting 'Branch of Branch' down the road, hoping to release it in the next release v5.0. 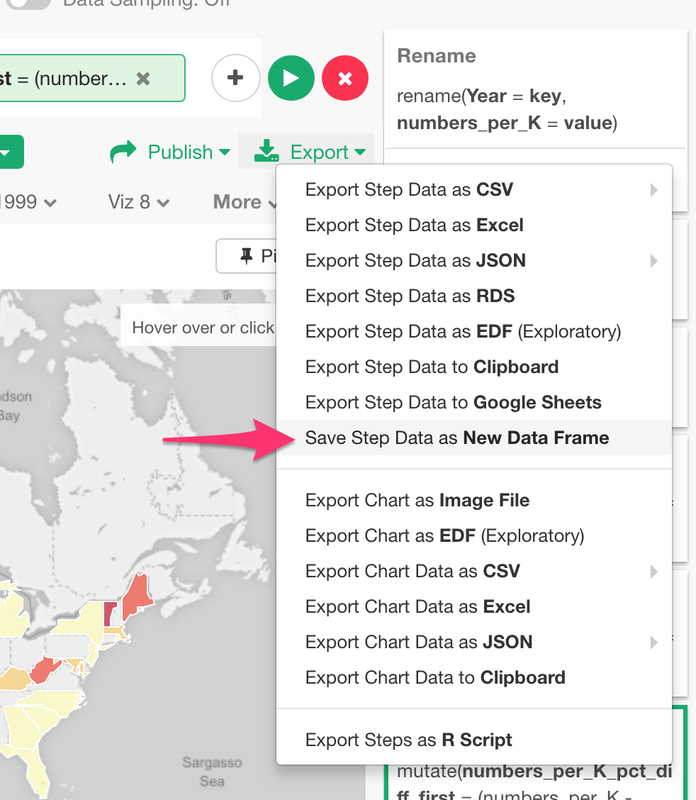 Until then, you can create a new data frame with all the steps that are used in the both main and branch data frames, though this will create a new data frame which needs to be maintained separately.